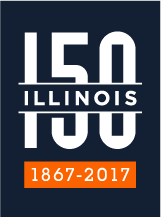 The 2019 SESE Research Review will be Friday, February 15 in the Illini Union Ballroom. The Research Review is the festive annual gathering where grad students, faculty, and research-active undergrads show off their research and socialize. Researchers from throughout SESE present posters- typically over 70 of them- and a few get to take the stage and present one of the ever-popular 5-minute “lightning talks.” The photo contest never fails to showcase some of the best Earth and Society photography you’ll ever see! RSVP here so we can plan for refreshments. Click here for more information on poster presentations. People who submitted posters to David W. will need to pick up posters at 8 am Friday in room 1088 of Natural History Building. These posters need to be brought to the Illini Union rooms ABC by 10am. Presenters reusing posters will also need to bring them to the Illini Union rooms ABC by 10am. The entrance to the Illini Union rooms ABC is located on the west side of the first floor of the Illini Union. Research Review committee volunteers will assist with poster check-in and set up. The entire SESE community is welcome to submit a poster title in order to present a poster at the SESE Research Review, including undergraduates, graduate students, professor, research affiliates and staff. We look forward to your submissions on previous research, current research, proposed future research, class projects and teaching experiences. New this year, we will also be featuring lab and research group posters. When you submit your poster title, it can be a tentative title as there will be no program made this year. We strongly encourage presenters to re-use a poster from a recently attended conference. If you need to print a new poster, please make sure it is 3 ft tall by 4 ft wide. Editable Powerpoint and InDesign templates for creating a 3 ft tall by 4 ft wide poster can be found here. The research review poster session allows participants to provide and receive feedback on poster presentations through a peer review process and engage with research ideas from across SESE’s disciplines. Posters will be organized alphabetically, so there will be opportunities to see research from across SESE side-by-side, bridging departmental divisions where possible. Anonymous reviewers will provide feedback on posters, using a judging and feedback form. Outstanding student presenters will receive awards during the SESE Research review. SESE is pleased to present a student and faculty photography competition again this year! Submit one or more photos in the categories below. Step 1: You may submit multiple photographs to the contest, but we ask that you limit your submissions to 1 photo per category. Please fill out the photo submission form. You will include one photo underneath each topic. Please submit only 8"x10" photos. Step 2: You will not need to print photos as they will be printed by the Research Review Committee.